With two courts ruling against him, the Republican will no longer dispute Jared Golden’s election, but maintains that Maine’s voter-approved system is unconstitutional and illegal. Rep. Bruce Poliquin on Monday dropped his legal challenge to the ranked-choice election in Maine’s 2nd Congressional District in which he lost his seat in the U.S. House. A federal judge in Bangor this month rejected Poliquin’s challenge to the use of ranked-choice balloting in the Nov. 6 election, which was the first time the system was used to decide a congressional race. The system allows voters, when deciding between three or more contenders in a race, to rank candidates in order of preference on their ballots. Those rankings only come into play if no candidate wins a majority of the votes on the first tally. The election method was first adopted by Maine voters in a referendum in 2016 and then affirmed in another vote in June. Though the state’s Supreme Judicial Court issued an advisory opinion in May 2017 that the Maine Constitution specifies that general elections for governor and the Legislature can be decided by a plurality of votes, the document is silent on congressional elections. For that reason, the ranked-choice system was used in three congressional elections in November, but not in the three-person race for governor. The U.S. Constitution does not specify whether states must use a plurality or a majority to determine the victor of federal races. In a ranked-choice runoff, the candidate or candidates who received the fewest votes in the first round are eliminated and their supporters’ votes are reallocated to the remaining candidates based on their preferences. The process continues – with candidates eliminated from the bottom up – until one candidate wins a majority of the remaining vote pool. Poliquin led by 2,600 votes after the first round of voting in Maine’s 2nd District election, but didn’t secure a majority, triggering the ranked-choice runoff. Golden surged past Poliquin after the second- or third-choice preferences of two independents in the race – Tiffany Bond and William Hoar – were reallocated to the two front-runners by a computer using the ranked-choice software. Golden won enough votes in that round to secure a majority. At Poliquin’s request, the Secretary of State’s Office initiated a recount this month, but Poliquin discontinued the process after it became clear that the results weren’t going to change. Maine Secretary of State Matt Dunlap then certified Golden as the winner. Poliquin also challenged the results in federal court, but lost. 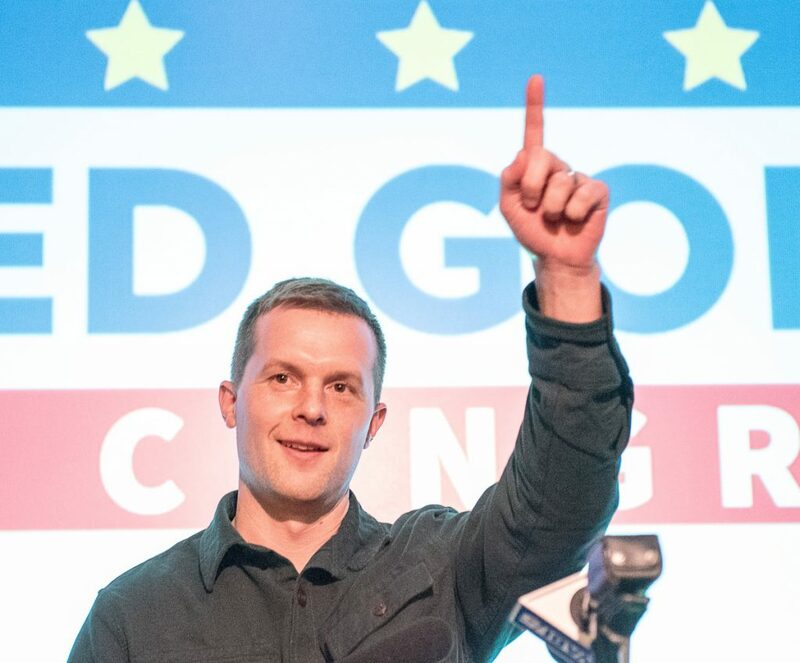 He asked a federal appeals court in Boston for an injunction to bar Golden from being named the winner of the race, but that court refused the request last week. He could have pressed his appeal before that court and, potentially, could have asked the U.S. Supreme Court to hear his challenge, but the statement says he will not do so. On Monday, Dunlap said he considered Poliquin’s legal challenge “a bit of a stretch for the congressman” and said the end of the potential legal roadblocks clears the way for Golden to be seated with other incoming representatives next week. Dunlap noted that most courts have deferred to the states when it comes to determining elections to the House and Senate. “The states occupy the field in the conduct of elections,” he said. Staff Writer Peter McGuire contributed to this report.